Materials for Childbirth, Baby Feeding and Early Parenting Education. 6 x pages with different types of slings and their pros and cons - included in two different designs! 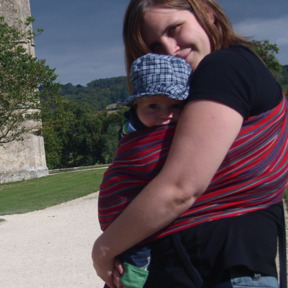 After participating in this activity, parents-to-be will be able to narrow down their preferred type(s) of slings/carriers and describe pros and cons of different types of slings to others. 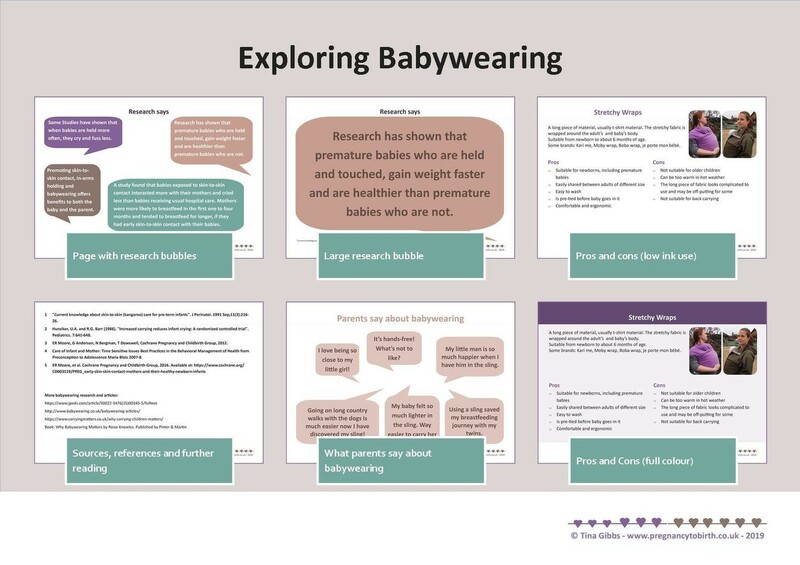 + if research info is used: They’ll be able to explain some benefits of babywearing for baby, parents and breastfeeding. This activity is included in the following bundles (from January 2019). Mum of four, antenatal teacher for the NCT (National Childbirth Trust), designing things including materials for childbirth education. I crochet and knit - if I find the time. Facilitate antenatal courses for the NCT and am an active breastfeeding peer supporter at our local sure start children's centre. I also volunteer for the NCT on a local and regional basis as well as for my daughter's pre-school. 50 The Banks, Bingham, NG13 8BT.